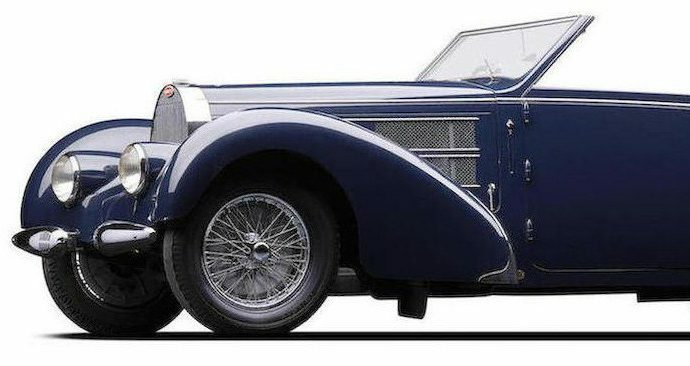 One of the most successful models produced by Bugatti was the Type 57, created by founder Ettore Bugatti’s son, Jean, and introduced in 1934. 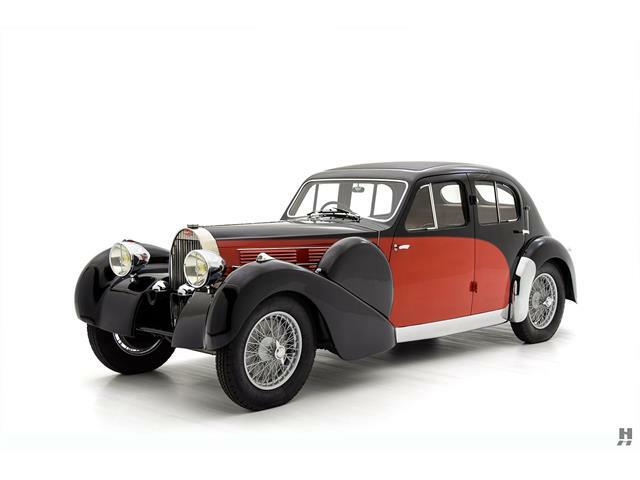 One of the most successful models produced by Bugatti was the Type 57, created by founder Ettore Bugatti’s son, Jean, and introduced in 1934. 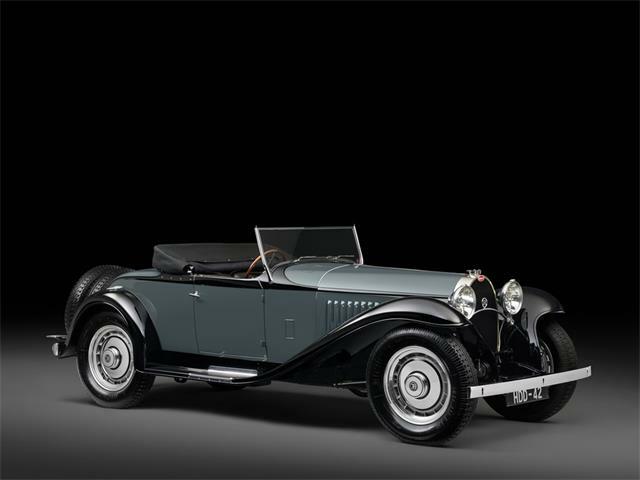 With numerous body styles by renowned coachbuilders as well as the Bugatti factory, including such exotics as the iconic Atlantic prototype, the Type 57 is today the best-remembered of the French automaker’s illustrious pre-war road cars. 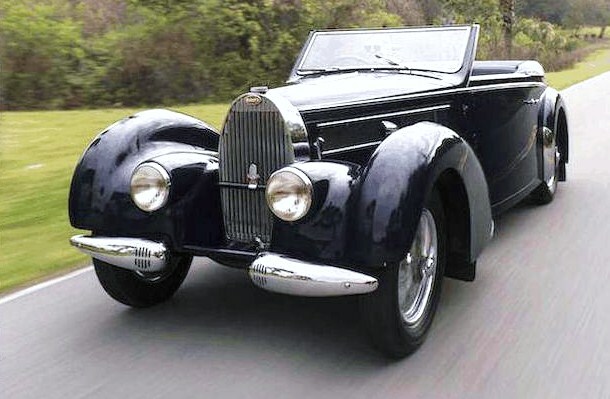 A special Type 57 serves as the headline offering for the Bonhams classic car auction in Greenwich, Connecticut, on May 31: a supercharged 1938 Bugatti Type 57C cabriolet with sleekly streamlined coachwork by Gangloff of Switzerland. 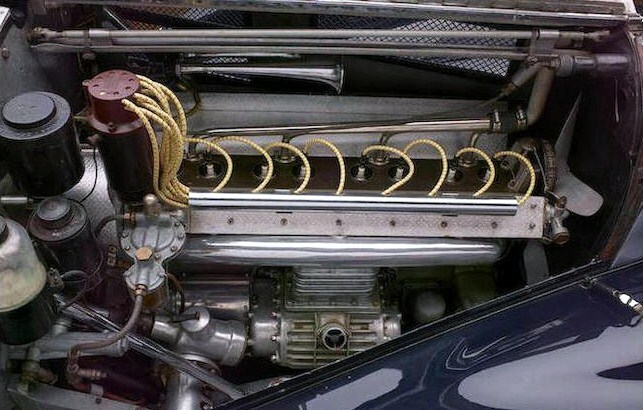 Documented as an original supercharged straight-8 Bugatti, the cabriolet is known for its long-time ownership by Miles Coverdale of Long Island, a Bugatti historian and one of the pioneers of the collector-car hobby. 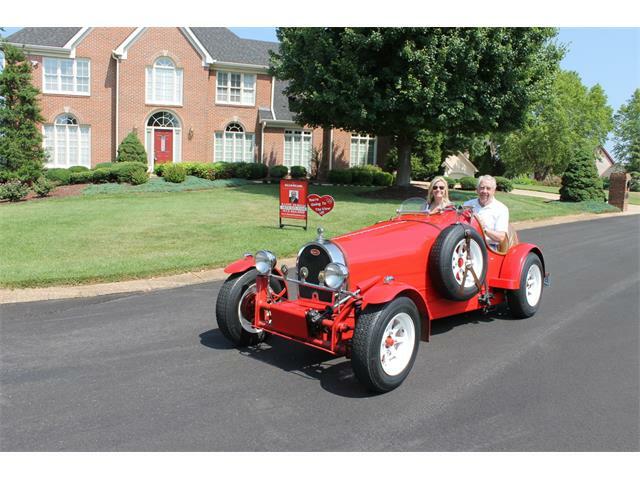 Coverdale acquired the Type 57C in the early 1960s and kept it among his stable of thoroughbred Bugattis until his death in 2000. The Type 57C has a pre-auction estimate between $900,000 and $1,100,000. Bonhams eighth-annual sale held in conjunction with the Greenwich Concours d’Elegance will be at the waterfront Roger Sherman Baldwin Park in Greenwich. 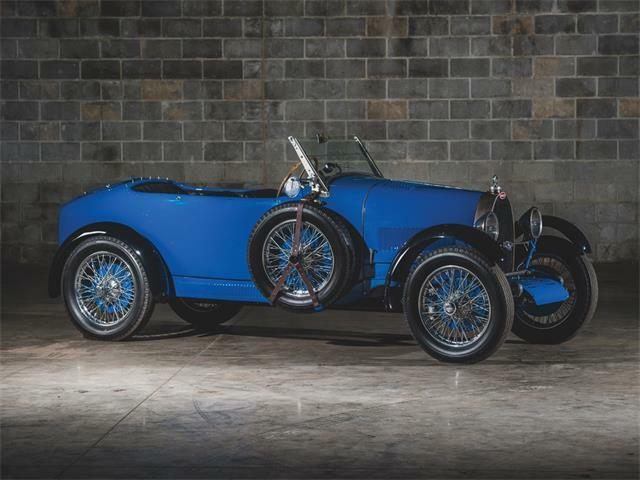 The sale will feature more than 90 vehicles in a broad mix of high-end and affordable lots, and an expansive offering of historic automobilia. 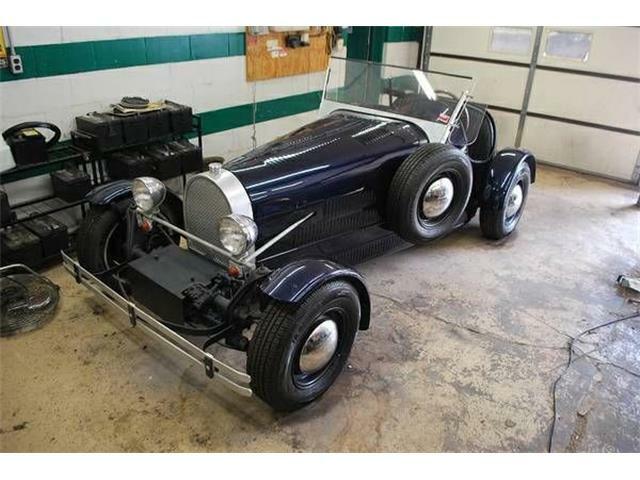 Other featured lots from the 1930s include a pair of pre-Jaguar roadsters, a rare 1935 SS90 and a 1938 SS100; a 1932 Duesenberg Model J Tourster with coachwork by Billings; a 1939 Delahaye 135M Competition Convertible Coupe with Chapron coachwork; and a 1938 Mercedes-Benz 320 long-wheelbase roadster by Sindelfingen. 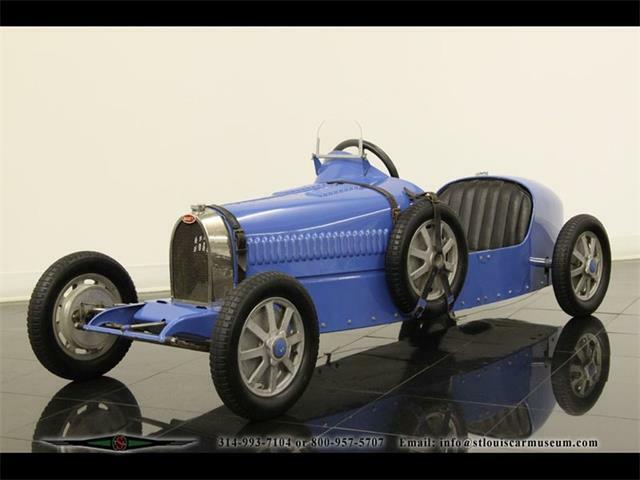 For more information, see the Bonhams website.